Whether you are teaching an online, hybrid, or face-to-face course, at some point during the course you may want to engage with your students synchronously via the Internet. You may have a remote guest speaker, a need for students to meet in groups, student presentations, you name it. All of these experiences and more can be done through two OSU supported tools: Collaborations within CarmenCanvas and CarmenConnect. On September 20th, Jacob Bane and Marcia Ham presented different ways each of these tools could be used to engage with students live outside of the traditional classroom. Click the following link to view and listen to the recording of the 1-hour webinar: http://carmenconnect.osu.edu/p1poexawu4r/. Please join the Office of Distance Education and eLearning’s DELTA team on October 17th when Dr. Matthew Stoltzfus will present a webinar discussing the topic of metacognition in an online course. UDL. It’s what’s for dinner. 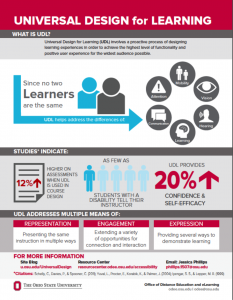 The OSU Office of Distance Education and eLearning (ODEE) is getting some nationwide recognition for its Universal Design for Learning initiatives. This year, ODEE staff served up an impactful UDL poster to raise awareness of the power of UDL for OSU’s Innovate Conference. 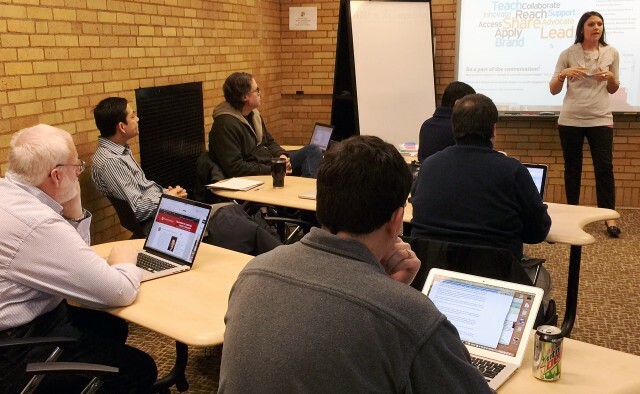 Over the summer, Instructional Designers Jessica Phillips and John Muir were invited to deliver to packed houses the ODEE approach to UDL at both the Distance Learning Administrator’s Conference and at the UW-Madison Distance Teaching and Learning conference. 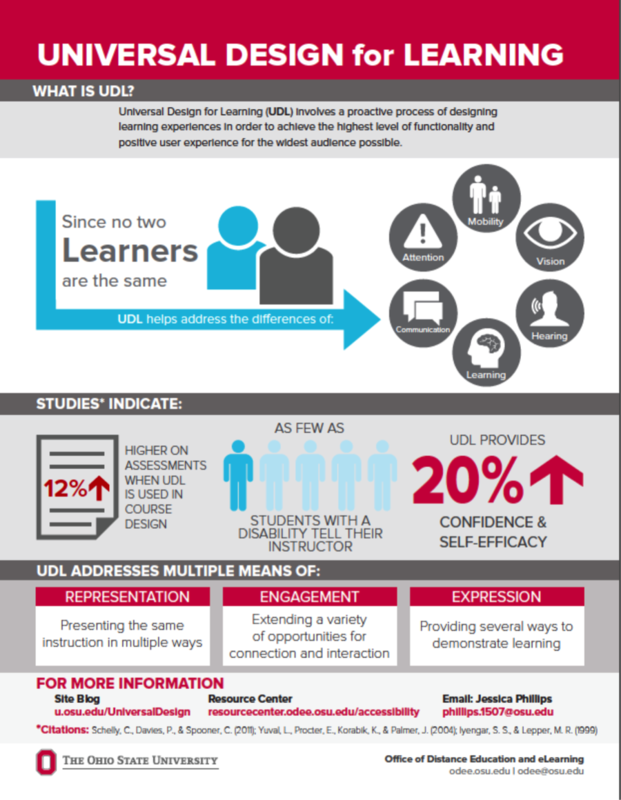 Additionally, EDUCAUSE, one of the largest educational conferences in the world, has invited ODEE to share its work on UDL to an audience of important players in education across the country. Even individual universities (University of Tennessee-Knoxville and University of Illinois-Springfield) are interested in what ODEE is doing and have requested customized guidance to help their institutions adopt UDL principles and practices. ODEE will visit both universities this fall to work with faculty and staff on integration of UDL and accessibility. While ODEE is excited about this nationwide interest, it’s also looking for opportunities to share these practices and principles closer to home with faculty and staff across OSU. If interested in a custom workshop for your department, please email ODEEaccessibility@osu.edu or contact Jessica Phillips (.1507) directly. In the meantime, check out the ODEE Community for Universal Design and Accessibility or attend our next UDL/Accessibility Think Tank! First ODEE UDL and Accessibility Think Tank a Success! ODEE’s first Think Tank was a great success! Jessica Phillips (ODEE Instructional Designer), Ken Petri (Director of Web Accessibility), and Pete Bossley (OCIO Accessibility Analyst) co-facilitated this session, joined by about 15 people from all over campus. These minds came together and first engaged in dialogue around how they define Universal Design for Learning and accessibility. 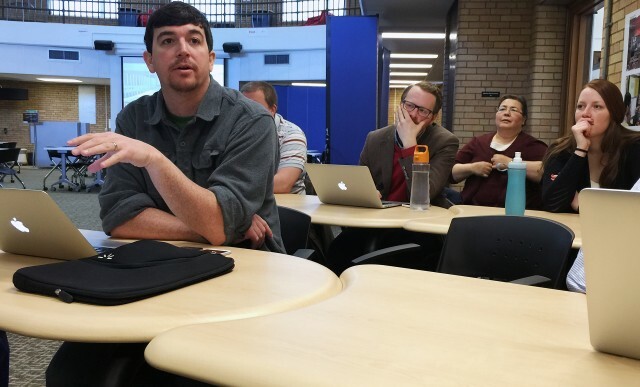 The group stated such things as: designing with all learners in mind, leveling the playing field, designing for maximum usability, and the fact that accessibility considerations benefit all students. The dialogue also brought up areas of common issue, need, or interest for future Think Tanks. Overall what stood out was the importance of designing with accessibility and universal design in mind from the earliest stages of course or program development, the benefit of chunking content into more manageable pieces, using HTML templates that are designed to be accessible, captioning solutions, Read Speaker, and ongoing training. Stay tuned for information on the next Think Tank, which will be scheduled in early April 2015. In the meantime, feel free to contribute ideas, suggestions, or continue the conversation in our virtual Think Tank or contact Jessica Phillips (phillips.1507@osu.edu) for more information.